The children will sit papers in mathematics, reading and grammar during the week commencing 14th May, 2018. SATs has changed over the last few years’ levels have been replaced by 3 possible judgements: greater depth (referring to working above), on track (expected level) and below expected level. We now work from a raw score which is converted into a scaled score – for a child to reach expected standard a scaled score of 100 is needed. Greater depth is a real challenge where often a 115 scaled score is needed (although this changes each year). This is the first SATs test – the children will be required to read three texts – one will certainly be fiction and one non-fiction – the third is a surprise for us all on the day. Some questions are multiple choice or selected response, others require short answers and some require an extended response or explanation. The reading asks questions from a range of areas e.g. inference and deduction as well as fact retrieval. 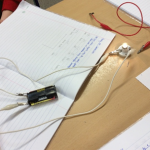 Often the children will need to use evidence from the text to ‘back up’ their own ideas. They will also be asked to answer questions about writer’s intention. This paper is out of 50 marks and takes one hour to complete. Read regularly at home with your child and always ask questions about what they have read and discuss the text. Talk about the novel before, during and afterwards – discuss the plot, the characters (feelings and actions), predict what will happen and encourage your child to have their own opinions. Read more than one book by different authors and compare similarities and differences – does the author have a particular style? Look at character descriptions what descriptive language has been used: metaphors, similes and personification etc. Discuss how the author wants the reader to feel at different points in the text, how does he/she make us feel that way? In non-fiction texts summarise key information and look at the layout of texts on the page. Look at the vocabulary and discuss difficult words, pick out a word and ask if your child can say a word that means the same or a word that means the opposite. For unknown words encourage dictionary use and try to use that word in conversation throughout the week so that it becomes familiar. All reading is valuable – it doesn’t have to be just stories. 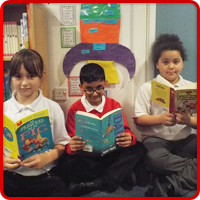 Reading can involve anything from fiction and non-fiction, poetry, newspapers, magazines, football programmes, TV guides. Bug Club has a good range. Two tests – spelling and grammar. The grammar test lasts for 45 minutes and accounts for 50 marks. The spelling test lasts for approximately 20 minutes and accounts for 20 marks. The spelling tests pick up all of the spelling rules as well as a couple of ‘tricky’ words that may not follow a rule. The spelling test is read by the teacher. Grammar is a body of knowledge containing a lot of technical language – during the test the children will be expected to answer questions involving punctuation, they will be asked questions to extend their vocabulary and they will need to be aware of word classes e.g. verbs, nouns, adjectives, conjunctions and connectives etc. Make sure you practise spellings with your child from their weekly homework spelling sheet. Learn the rule for that week and find other words that follow the same rule, don’t forget to learn also the words that are exceptions to the rule. When reading with your child discuss any punctuation in the text and word classes used in the text: ask them to point out the verbs, adjectives, nouns. Ask them to think of synonyms (words that mean the same) and antonyms (words that mean the opposite) for words of your choice. Split into 3 papers: the arithmetic and two reasoning papers. The arithmetic tests give an indication of how well children are able to answer a range of mental arithmetic questions e.g. calculating with fractions and the four operations. Time is a key factor in this test and children who have a solid knowledge of multiplication tables perform better in this test. Ensure that your child has a secure knowledge of multiplication and division facts, as without secure knowledge of these your child will struggle in the tests. Ensure that children are used to using watches to tell the time and calculate problems associated with time and timetables. Give children opportunity to calculate change and add items up in shops. Take notice of measures e.g. litres, kilograms etc. on products. Think about ratios when looking at recipes. Complete homework to a high standard and on time. Ensure that the children have a good nights sleep and a healthy breakfast. Reassure your child not to worry and try to spend time relaxing at the weekend. 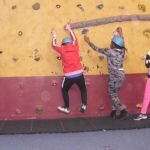 What a busy Autumn term we had! 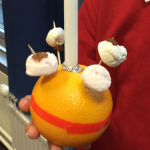 As we take time to reflect on our experiences from last term we remember: the trip to Stanley Head, our involvement in the many Christmas activities that we were all a part of (Christmas plays, the Christingle and Christmas dinner etc.) 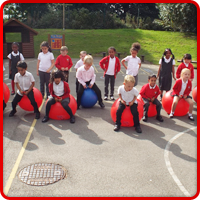 and of course we enjoyed being given responsibilities around school. 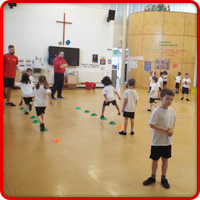 In addition to this most of us were also involved with a good range of sporting events and competitions (including running, tag rugby, table tennis, football and other team games), within the classroom we experienced drama and coding within our computing lessons. In November as a reward for excellent homework most of us, by invitation only, visited Liverpool for the day – on a Saturday! A fabulous day was had by all, during the day we enjoyed: visiting ‘The World Museum’ and having a tour around this wonderful city on an open top bus. 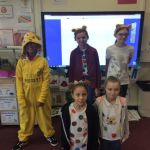 Also in November we put together our class assembly and organised a fund raising event in aid of Children in Need, as a class we researched the work that Children in Need do and the causes that they support. 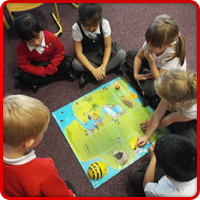 We put together an assembly with the theme ‘working together’ – we even performed a song! 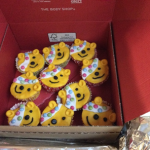 As a team we voted upon the best ways to raise money for this worthwhile charity, and in the end we decided that we would hold a non-uniform day and bake cakes for a cake sale. 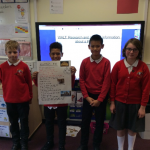 We all made posters to inform the rest of the school about the events that would be taking place on that day and many of us bought in cakes – which we made by our own fair hands! The day went well and we raised an excellent amount for our chosen charity. Of course even with all of the visits, competitions and fund raising we have also been busily working in class. Last term we had a focus upon our understanding of texts, mathematical reasoning and improving our punctuation. 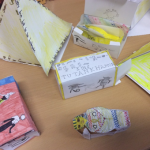 In a good range of subjects, we have all produced some excellent written work that Mrs Peake was very proud of – including a historical fiction stories, explanation texts in science and newspaper reports in topic. 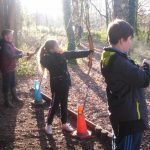 Looking forward to the next term we have a lot to look forward to, including our residential visit to France to see the battle fields and trenches of World War 1. We are very much looking forward to this visit and hope to produce some excellent written work based upon the book ‘Private Peaceful’ and other descriptive poetry. We are also looking forward to a trip to the New Victoria Theatre to enjoy the production of ‘Treasure Island’. 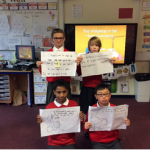 During our topic lessons we will be studying the Anglo-Saxons and their settlements, civilisations and beliefs: we hope to link this to maths this term where we will be looking scales on a map, representing information on a timeline drawn exactly to scale and drawing scaled drawings using a ruler, quadrants and protractors. In RE having looked into the various beliefs of the after-life last half-term we will be considering whether Jesus really was the Messiah and the importance of the resurrection. 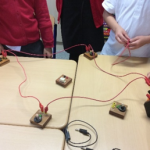 Science lessons will be focusing upon animals and other humans where we will be considering the circulatory system and the importance of keeping the heart fit and healthy. Thank you for reading and Happy New Year from Year 6!! 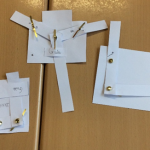 we made cards with moving parts – here are some examples of the mechanisms that we used.